How We Made Logging Great Again Jonathan is a platform engineer at VictorOps, responsible for system scalability and performance. This is the second part in a series on system visibility, the Detection and Analysis part of the Incident Management Lifecycle. If you missed it, read Part 1 first. Like any good engineering approach, we wanted a simple, thin facade that would codify our use-cases, provide a single extension point, and be low-overhead to maintain. With the exception of appender performance, we needed unification of the interfaces in order to address all the concerns mentioned in Part 1. We did just that. We created a top level Logger that would house all supplemental functionality and become our primary interface regardless of whether we’re logging from a “typical” class, an actor, or a controller. There are two implementations: ClassLogger and ActorLogger which behind the scenes make use of SLF4J and Akka logging, respectively. So far, we haven’t had a use case for a separate controller-oriented logger and simply used the ClassLogger in our controllers. Next, we created a Logging trait in order to further standardize our logger names and break the stigma of a separate Logger for each class in a class hierarchy, in favor of a single Logger per instance. In other words, we lose the context of which hierarchical class in favor of the gains it brings. This has the benefit of providing better context to any log statements called from a parent class or trait mixin. This also removed further developer decisions by mixing in a logger with the same field name, logger name, and identity* which we’ll get into next, regarding log variables. *identity–in this case I’m referring to the information you want printed in every log statement from that class. For example, if the class is associated to a specific user, the username may be a part of its identity. Notice the missing closing brace and, in this case, the inconsistency of this statement using colon+space instead of equals. That simple mistake would lead to a failure to extract the variable in your log parsing (in Sumo/Elastic/Splunk/etc) making it somewhat hidden and potentially yield the log statement useless. A feature worth considering is sanitizing PII (personally identifiable information) in log statements. There are some references to functionality like this in the GoDaddy logger and others. So, focusing on maintaining a thin facade, you could completely replace Logback with the GoDaddy Logger and add this functionality without modifying many, if any, log statements directly. This simple solution totaled 452 lines of code, including tests and nearly 100 lines of comments to aid in migrating files — the developer responses were surprising to say the least. Remember the last time you got a splinter in your foot? Such a simple task of removing the splinter relieves that constant annoyance that can easily build up if not addressed. Ha ha! Our state of logging was just like that splinter. Relieved comments began to trickle in, one by one, on how devs have been pleasantly surprised with the new experience of logging on our platform. Most of those comments centered on how the unified logging was implemented at the right level of abstraction (flexibility versus structure) and that it made logging simple and, because of that, enjoyable to use. 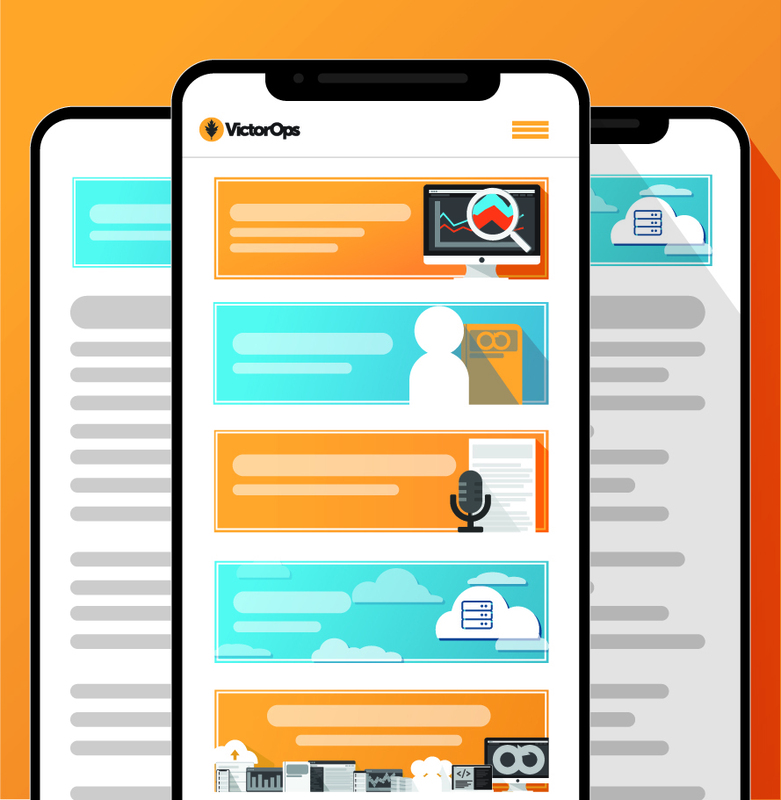 These days at VictorOps, developers are progressively migrating the files they touch in order to reap the benefits and the simplicity they’ve become accustomed to. With this change, we progressed in two very important ways as a team: We addressed some tech debt that had become a larger nuisance than we had realized; and, we improved our log searchability by providing simplicity and just enough structure to get the job done. So, with our logging in a much happier place, we were prepared to move to the next step of improving our monitoring and instrumentation. In Part 3, we’ll talk about how metrics have become our next focal point.